More than 10,000 years ago, massive floods repeatedly carved many of the distinguishing features of the Northwest's unique landscape. 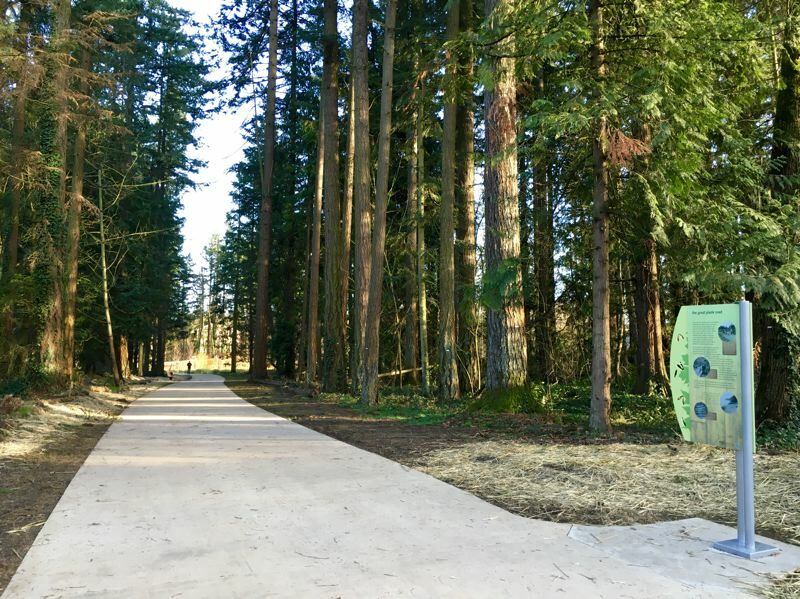 Now, the city of Tualatin has been designated as the National Parks Service's first partner community along the Ice Age Floods National Geologic Trail. Following the path of these floods, the Ice Age Floods National Geologic Trail crosses through Montana, Idaho, Washington and Oregon, with dozens of parks and museums situated along the route. The Ice Age Floods National Geologic Trail was created by an act of Congress in 2009, with the purpose of telling the stories of the cataclysmic Ice Age Floods and invite people to discover and explore the resulting extraordinary landscapes and distinctive features. "The impact of these floods covers thousands of square miles in the Pacific Northwest, too large an area to be fully covered by a single site," said National Parks Service Superintendent Dan Foster. "The efforts of many agencies to tell this phenomenal story are linked together through the trail." As a designated partner, Tualatin will be identified as a hub for tourists along the trail. The Tualatin Public Library will serve as the local interpretive center, providing information and amenities to visitors. For example, collectors of Passport to Your National Parks stamps can already receive a stamp for the Ice Age Floods National Geologic Trail at the library. Tualatin has long promoted its connection to Ice Age history through features such as an Ice Age geologic timeline on a segment of the Tualatin River Greenway, Ice Age-themed play features at Ibach Park, the mastodon skeleton at Tualatin Public Library, and erratic rocks at the Tualatin Heritage Center. In addition, the proposed Ice Age Tonquin Trail — a 22-mile network of bike and pedestrian pathways — will traverse the city and feature interpretive displays highlighting local geologic features shaped by the floods. Multiple agencies are partnering together to realize Tualatin's designation as a portal on the Ice Age Floods National Geologic Trail: the city of Tualatin, the Tualatin Chamber of Commerce, the Ice Age Floods Institute Lower Columbia Chapter, and the Tualatin Historical Society. "Tualatin lies at a crucial flow path junction of the Ice Age floods," said Scott Burns, geology professor emeritus at Portland State University and an expert on the Ice Age floods. "Over 40 times the flood waters entered the Tualatin Valley through Lake Oswego and Tualatin, then exited back into the Willamette Valley through Tualatin. It is truly at the crossroads of the Ice Age floods!" Efforts are underway to create a local nonprofit agency to support and promote Ice Age interpretive projects in and around Tualatin. For more information contact Linda Moholt at the Tualatin Chamber of Commerce, 503-692-0780.